An old video of Frank and his band performing "luxury" on 9th September 1985 for german tv was broadcasted a couple of days ago. The song was not played live and Frank enjoys exposing that fact by singing without his mic and smashing some instruments. Watch a clip about the Frank Tovey tribute at Envoy Enterprises on Youtube. Envoy enterprises, in collaboration with NP Contemporary Art Center and Mute, is pleased to present FGFt, a three-part project series in homage to Frank Tovey – founder of the 1970s/1980s British electronic group Fad Gadget, marking the 10 year anniversary of the pioneer’s death. Summoning a diverse group of artists and musicians who have been both directly and indirectly influenced by Tovey, the series will take place from March 1st through to April 8th, 2012 featuring a group exhibition, live music performances, and a film screening. All events are free and open to the public. Nice article about Frank and some of his songs on www.popshifter.com. The release-date for the "Mute Audio Documents" has been postponed (again...) to 18th June 2007. The release-date for the "Mute Audio Documents" was postponed to early May. An ICA commissioned re-enactment of the infamous gig by members of Einstürzende Neubauten and other musicians including Genesis P Orridge and Frank 'Fad Gadget' Tovey which took place at the ICA on 3rd January 1984, composed around the use of industrial machinery, destruction of raw materials and ultimately the theatre stage. Mute is about to release a 10 disc box-set called "Mute Audio Documents" in March. It is a collection of single-releases from 1978 - 1984. A very interesting piece for Fad Gadget fans, as there will finally be some "vinyl-only" tracks on cd. Mute Bank is selling all Fad Gadget / Frank Tovey albums for only £5.99. So if you want to complete your collection, don´t hesitate and visit Mute Bank! This offer is only available until christmas!! There will be a couple of release-parties/screenings in Germany next time. 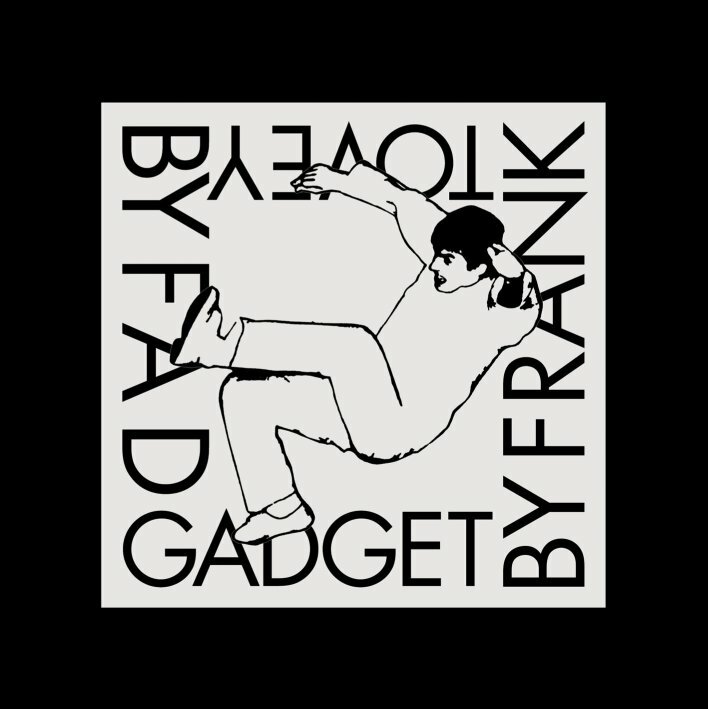 Mute are pleased to announce the release of the long awaited Fad Gadget by Frank Tovey project on September 11th 2006. The 2 DVD's and 2 CD's package features a specially made documentary covering Tovey's life and career up to his untimely death in 2002. It will also include rare and unreleased tracks and live footage of legendary performances, as well as classic songs recorded under both his own name and his alter ego Fad Gadget . This release has been put together by Frank's family in conjunction with Mute, utilising the Mute and family archives. Full details of the tracklistings for this package along with sound and visual clips will be available here in the coming months. Yes, it's nearly finished. The DVD/CD project that we have been promising is in its final stages and due for release before then end of March 2006. There will be stuff there for everyone; long established fans, new converts and anyone with an interest in the life and work of a unique performer. A 60 minute documentary contains rare and unseen footage and images as well as interviews with many of Frank's collaborators, including members of Depeche Mode, photographer Anton Corbijn and Mute's founder Daniel Miller. Live gigs, TV clips and videos will also be there. The CD will have examples of Frank's other projects and unreleased tracks plus your chance to hear the original demo that Daniel Miller was handed more than 25 years ago. Would you have signed this man to your record label? - you decide. We also want to include a selection of the best Fad Gadget and Frank Tovey songs and we would like your suggestions. We are running a Poll on the Mute Records website asking people to vote for their favourite 5 tracks. So visit http://www.mute.com/fadgadget where you can see the updated Fad page. The Poll closes on 18th November so vote now and spread the news! The DVD is now in the final stages of editing. We have been waiting for some final crucial permissions and late contributions. It's looking really exciting - the documentary part alone should do justice to Frank's amazing career. Without sounding like a broken record we are sorry for the time it is taking but this is a project being put together with love and passion and we hope you will receive it in the same spirit. We should be able to get back to you by the end of August with a possible release date and maybe some more definite details. If you have any pictures, video- or audio-recordings of good quality, you could help to add more interesting pieces to the dvd. Maybe you have some interviews, live-performances, photographs of Frank, or you know that a certain tv-station or venue has filmed a concert. No matter if it´s from the early days or the last appearances. Every source should be checked, to choose only the best material for the final release. If you think you might have something useful, please write to fadgadget@hotmail.co.uk. Firstly we must apologise for taking so long to make contact but because Frank died unexpectedly it has taken all this time to sort things out. We would like to say "thank you" to all of you for the messages and tributes. We read them regularly and it has meant a lot to us to know that there is still so much interest in and respect for Frank's music. Which leads us to the good news that there is indeed a project in progress. We have been working with Mute Records to gather together videos and other rare / unreleased material for a DVD/CD that should be out later this year. Many people who have either worked with Frank or admired his music have contributed and it looks to be a unique record of a unique artist. Finally, we must give huge thanks to Ronny for this great site and for his help over the last few months in sharing some of the material from his own collection. As things progress we will keep you informed.